Throwing back to a simpler time and era can be an incredibly excellent choice for a TV show. From looking at a vintage Pan Am Airlines button to seeing an old style AM radio in the basement with its flair and sheen, nostalgia is one of the best ways to gain a cult following. It is absolutely true that the characters in “Mad Men” were well thought out and especially dapper, but there is much more to the formula than just that. 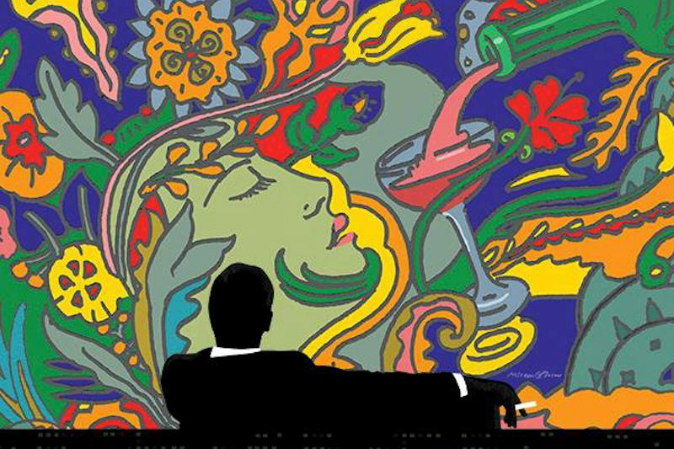 The real iconic element of “Mad Men” was that the advertising culture of the era had not yet really been explored, and what it was like to work then in New York or all of America. When ad exec himself Don Draper says in the show that you have to “identify the need beyond the need,” he is putting forth visually a slow film strip of what the person watching really wants. In many circumstances, it’s comfort. As far as the current consumer landscape, who doesn’t want it? The feeling of coming home and having everything taken care of, the dog waiting for you, the perfect meal, and domestic partner waiting for you were all part of the cult success of “Mad Men”. Even though the wildly successful AMC show also portrayed these wonderful relationships going wrong at full speed, just seeing the beginning where everything is alright sets a tone for consumer desire. Immediately you are thinking of plush high heels, Jaguar cars, trips abroad, and the promise of comfort while perhaps looking for other upper-end satisfactions. When Aaron Sorkin launched “The West Wing,” he really drew upon retro elements even just within office confines. While the main focus was on political pull and power, the story that was set up really presented well the ideas surrounding where everyone came from, and how they got to their present status. From leggy sultriness to the pitches from the ad men, these were all aspects of nostalgia shows like this evoked. When all the magazines started writing about it, even those who weren’t bowled over right away were so very curious to see what Don Draper would do next. Pop art, Warhol influence, and the cluttered face of Manhattan blended so well in this show that the cult following only had to fester itself for about a year or so. What really happened to make “Mad Men” irresistible to all the viewers was the way in which it showed the characters struggling? The dresses, art on the wall, and tapping into times from ago were done very calculated; with the story of Don himself being another pinnacle backdrop. The cult following that developed around the show was not just about the visuals, campaigns and storyboards; but the flow of the way people acted back then. When things really start to unravel in your personal life and get crazy, it could have still been a wonderful time to enjoy plush green couches, scrambling Manhattan dwelling tension, and a few stiff martinis on a hurried lunch hour.